Gorgeous sparkly junior sized grooming kit. Brushes are the ideal size for smaller hands. 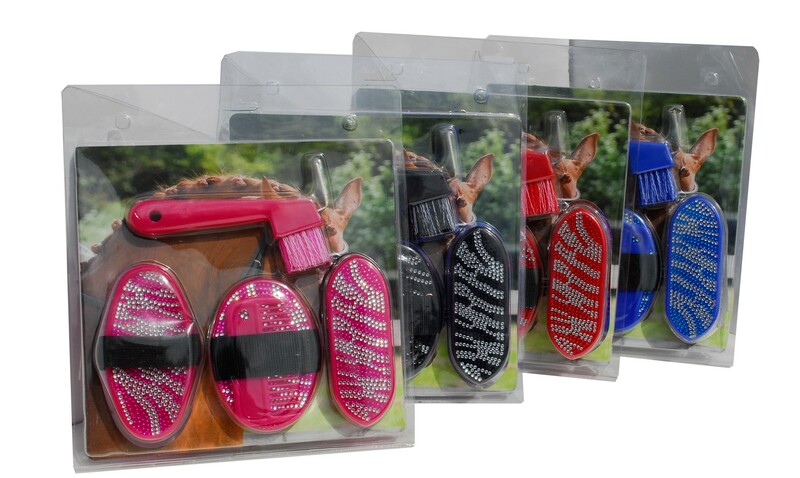 Add some bling to your tack room with this gorgeously sparkly junior sized grooming kit. 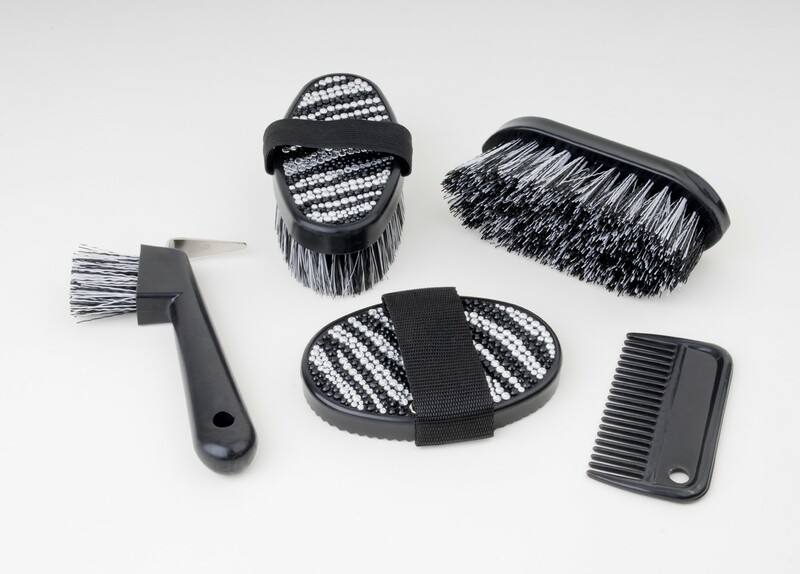 Kit includes Body Brush, Dandy Brush, Rubber Curry Comb, Mane Comb and Hoof Pick Brush. Tough plastic backed brushes with contrasting colour 'crystals'. The body brush has a soft comfortable elasticated handle. All brushes are the ideal size for smaller hands.